Dear reader: this article on French prepositions was originally published on January 29, 2013. However it has since been updated and reviewed on July 18th, 2018. Enjoy! French prepositions can be tricky for language learners. This is primarily because French likes to add or retain prepositions in places where the English language would typically omit them. Do you know when to use à, de, en, par, pour, sur OR dans in a sentence? 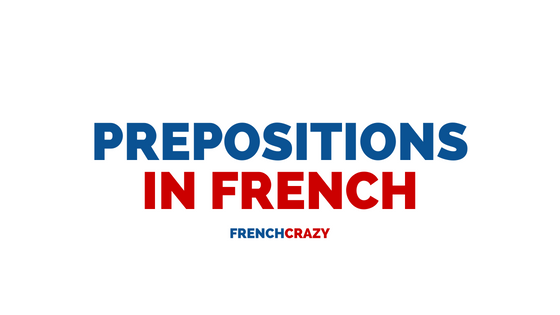 This article will discuss situations in which you would use certain French prepositions. Don’t worry, I have plenty of example sentences and phrases. Plus at the bottom of the page I provided a small practice exam where you can test your newly acquired knowledge! But first, what is a preposition? A preposition is a word that is used to indicate the temporal, spatial or logical relationship of its object to the rest of the sentence. The French preposition à is used very often. It is typically translated as “to” or “at” in English. Je suis à Paris / à l’école. Je vais à Paris / à l’école. I am at Paris / at school. I’m going to Paris / to school. J’ai un rendez-vous à 8 heures / à midi. I have a meeting at 8 / at noon. Wanna know more about this? Check out this specific Ask John question. Les fraises sont à 5 euros. On calcule le prix au kilo. The strawberries are at 5 euros. We’ll calculate the price per kilo. Elle parle à ses amis. Il téléphone à sa mère. She speaks to her friends. He calls his mother. Elle vient de Paris / de France / du Brésil. She comes from Paris / from France / from Brazil. A tasse à café tells me that I have a cup specialized in holding coffee (think a mug). But it does not describe the current contents of my cup. Compare this to une tasse de café – this describes any sort of cup which is currently holding coffee. The French preposition en could mean “in,” “by,” or “from.” En is also an adverbial pronoun. Nous passons par la porte. We passed through the door. Another example sentence could be… we passed by Nantes for a quick bite to eat. They were stopped by the police. J’envoie la lettre par avion. I’m sending the letter by plane. Elle prend son enfant par la main. She takes her child by the hand. Je pars une fois par mois / par semaine / par an. I leave once per month / per week / per year. The French preposition pour primarily signifies “for” but also has some other meanings. Sandra part pour les États-Unis. Sandra is leaving for the United States. Il l’appelle pour un rendez-vous. He’s calling her for a date. C’est la cuillère pour votre soupe. It’s the spoon for your soup. J’y vais pour une heure. I’m going there for an hour. Cinq pour cent des gens sont obèses. Five percent of the guys are obese. Le cadeau est pour moi! The gift is for me! Elle écrit sur son cahier à spirales. Le prof lit sur un écran. She writes in (on) her spiral notebook. The professor reads from a screen. You wouldn’t say you’re ON a bus by using the preposition “sur.” Unless, you mean you are physically on top of the roof of the bus while it is driving. J’ai vu un film sur la Mafia. I watched a film about the Mafia. Huit élèves sur dix ont réussi à l’examen. Eight students out of ten had passed the test. Je marche dans la rue. Les gens qui habitent dans les rues. I walk in the street. The people who live on the streets. Nous partirons dans une semaine. We will leave in a week. 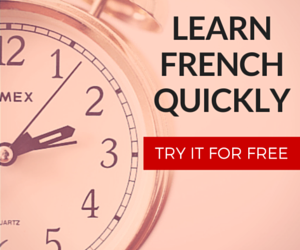 Unfortunately this is all in French, but if you have the level necessary – have a go at it! Fill in the following blanks with the appropriate French prepositions. Il était une fois, j’étais _____ Paris. J’avais un rendez-vous avec mon amie, Sandrine, _____ dix-sept heures ____ soir ____ café. J’ai acheté quelque chose spéciale ____ elle, un collier ____ perles. Elle est arrivée ____ taxi. Elle était habillée ____ robe. J’ai commandé deux salades et nous avions une conversation ____ la vie quotidienne. Après notre repas, nous avons marché ____ la rue, main ____ la main. C’était une nuit incroyable. Answers: à, à, du, au, pour, de, par, en, sur, dans, dans. I hope this article conveniently summarized when to use certain French prepositions. This is certainly a challenging topic and your skills with prepositions can only improve by using more of your French and listening to more native speakers. Any comments can be left below without any special subscription required! 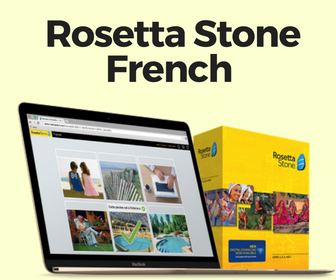 If you would like a way to practice your French prepositions with ease, consider trying Frantastique for a month. They email you daily French lessons right to your inbox.